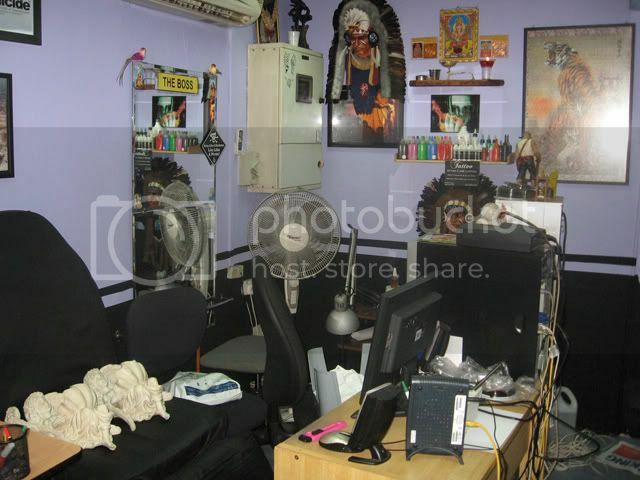 The much awaited pictures of my studio with a newer look !! 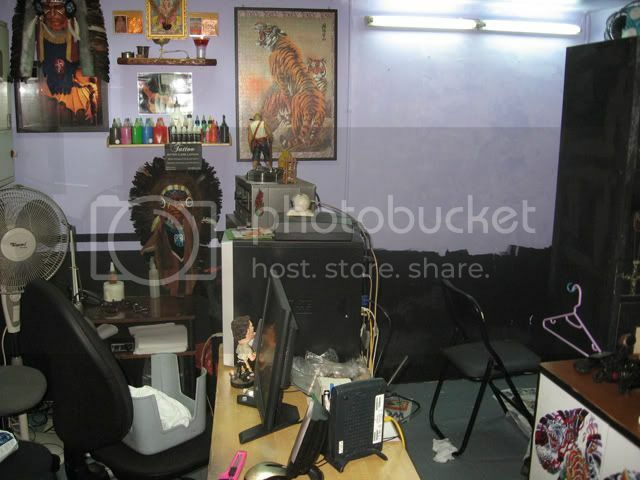 This is where the blood letting and ink stabbing happens. My Workarea !! Hope to see you guys in my studio soon. Muacks !! It reads the same if you flip the picture around. Here are some of the pictures of the works being done to the studio. Talk about being messy.... !! 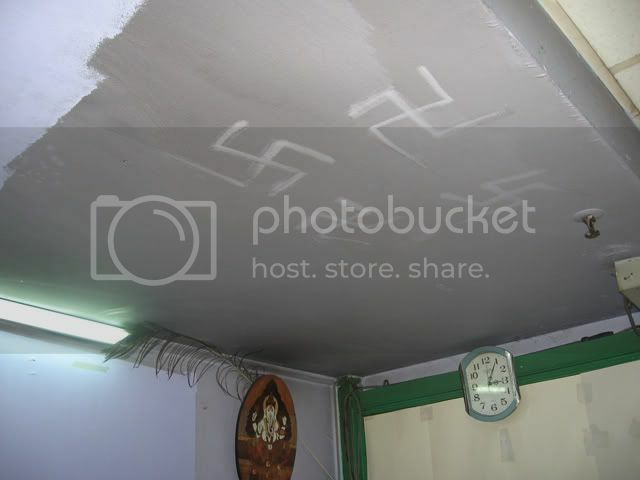 Since the whole studio was gonna be painted, I decided to draw on some swastikas !! 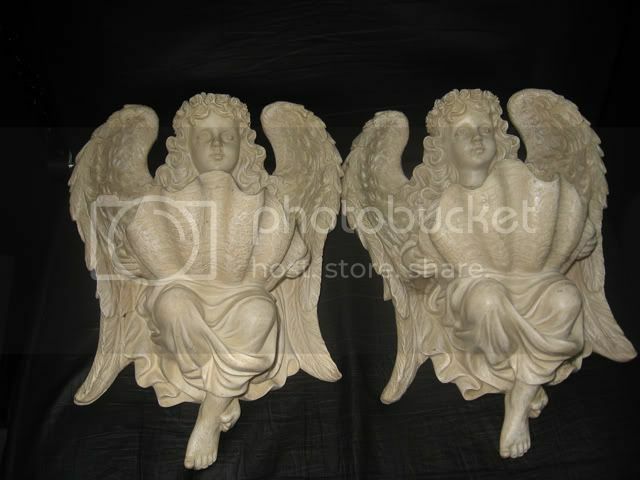 The lovely angels will be going up the wall as well !! 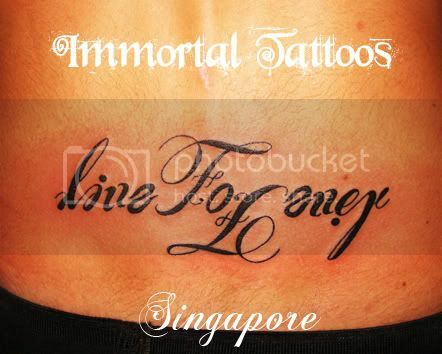 Stay tuned for more pictures of the New Look of Immortal Tattoos !! Ladies and Gentlemen, the loyal followers and readers to this blog - I apologize for the long hiatus. 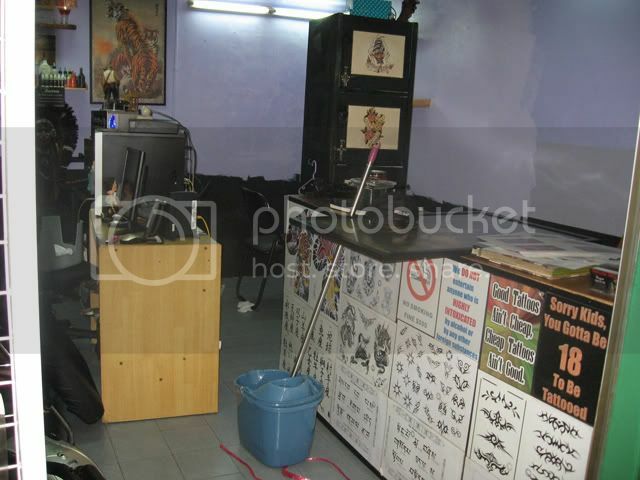 I have been very busy with revamping the studio, dealing with newer bigger projects, facing dumb asses and figuring out whether to sue "someone" who messed with Immortal Tattoos, Singapore. I have revamped this blog a little as well, and I am still trying to make it bit more better. 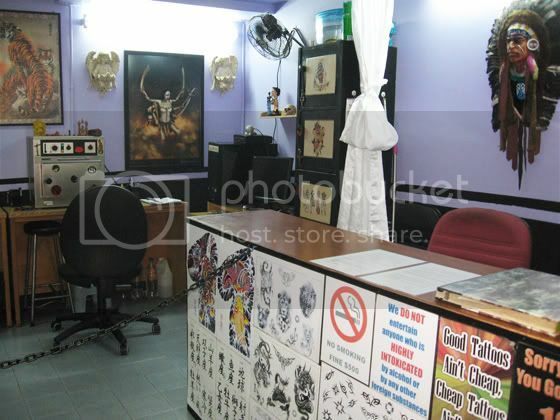 I have added the Tattoo Appointments and Deposits column on the left, so it will be more easier to understand the rule and nature. I promise to upload more stuffs in couple of days or maybe in a week or two !! So, stay tuned !! "i am emailing you. 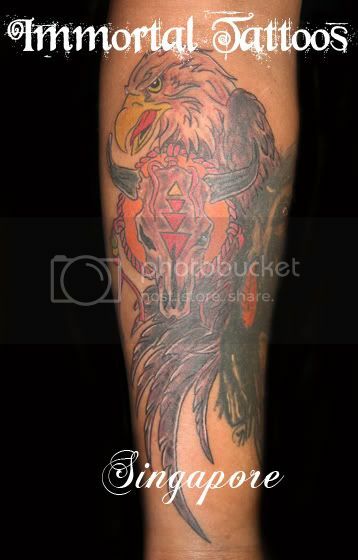 about your post about tattoos, 1 special one tho, the dell tattoo, see that tattoo is actually my tattoo, see my name is Todd Dell, in my life i always got the DUDE YOUR GETTING A DELL. 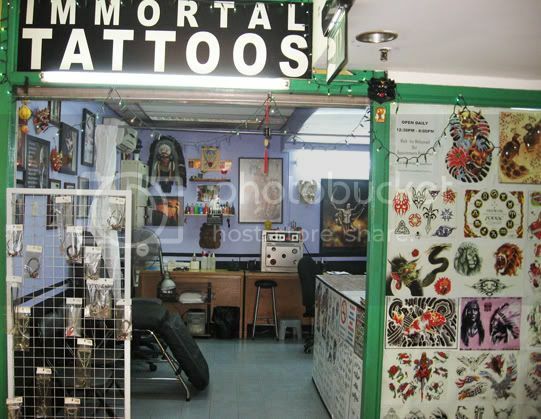 and stuff like that i always laughed it off, so my friend was like dude you should get the LOGO tattoo on you i was like sure, thus knowing i could get away with it, no im not a nerd, i dont even own a dell computer, im actually a mma fighter lol." So, I take it back. Sorry, Dell guy. You have a sense of humor about your name and you got a tattoo to prove it. You are officially awesome.